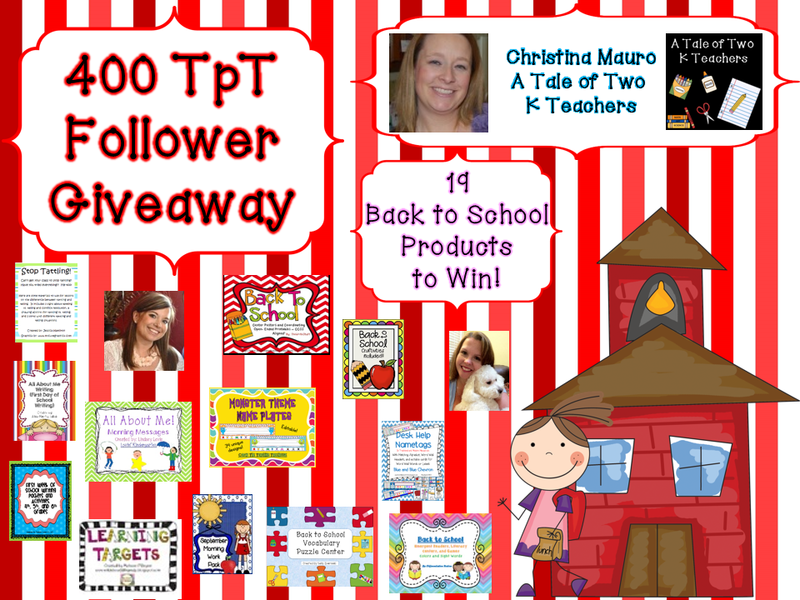 Today is the last giveaway from A Tale of Two K Teachers and it is a Back to School Giveaway. All of the giveaways end today, so be sure to sign up and good luck! Back to School Sale - It's on Now! Back To School Sale on TPT!